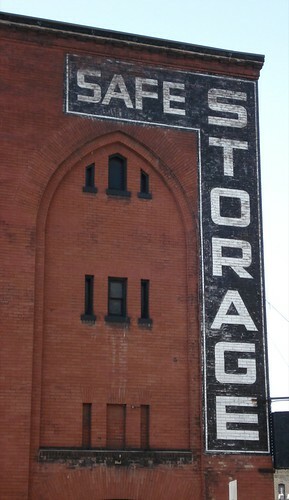 The structure was built at the turn of the century as a series of warehouses. In 1906 the Gothic Revival facade was added by local architect Cass Gilbert (whose major projects include the Minnesota State Capital, the U.S. Supreme Court building, and New York’s Woolworth Tower). The building is the current home of Theatre de la Jeune Lune. Sad news: TJL just announced they’re closing after 30 years due to financial difficulties.